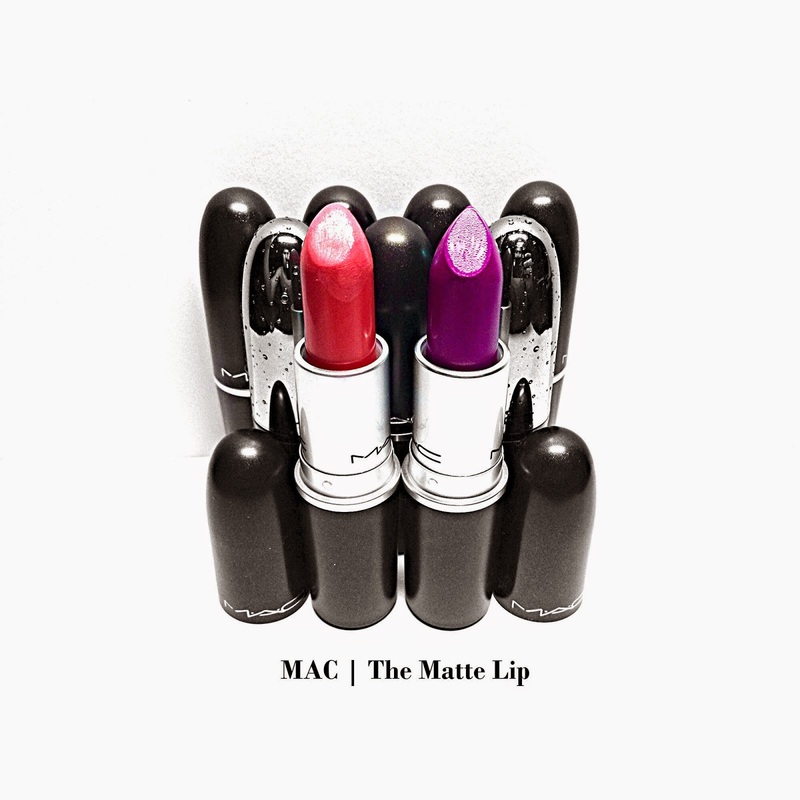 Swatch | Mac | The Matte Lip Collection | Sheena V.
I've only purchased 2 from this Limited Edition collection as I've started to go broke do "responsible shopping". Lip swatches found below! As you can see, Nouvelle Vogue is gonna accentuate the cracks if your lips are dry (like mine). A sweet, demure lip look nonetheless. Plus I doubt anyone will constantly be 10cm away from your lips so barely anyone will notice. It might bother some people but it's fine to me. So long as I'm not as comot/messy as the picture above can already. That was the result of me smearing the wet wipe all over my mouth. Warning. Heroine is the only permanent shade in this lip collection (don't quote me on that). Therefore still plenty of time to get it! Hahahaha. The next collection I'm looking out for is the Rocky Horror Picture Show Collection. I'm eyeing the lipstick shade in "Sin" which is a vampy colour. Though I might reconsider if its close to what I already own. Again, "responsible shopping" here. Hahaha. Plus Sin is a permanent shade, just that it will come in a nicer and more expensive packaging. I'm a sucker for nice lipstick packaging. So let's see how my willpower holds up. Heh. All right then, hope the swatches were helpful!